Sir Edward Elgar (2nd June 1857 - 23rd February 1934) is one of England's most well known composers whose works are celebrated both nationally and internationally. His best known works include; The Enigma Variations, Pomp and Circumstance Marches and The Dream of Gerontius. Elgar also composed church music, which is still sung by our choir today, including the three motets: Ave verum corpus, Ave Maria and Ave Maris Stella. 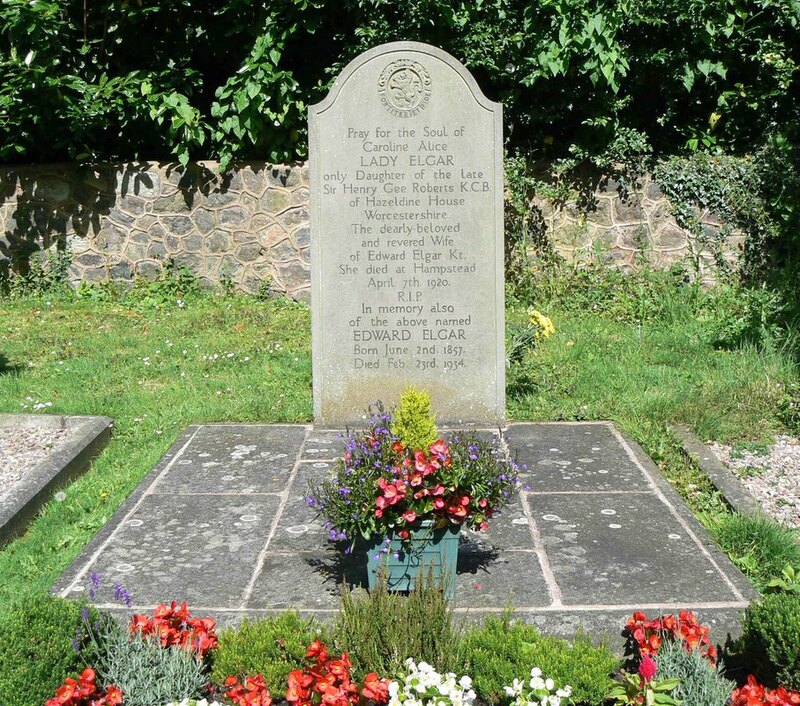 ​It is therefore no surprise that many visitors come to St Wulstans as part of the "Elgar Route" to visit the graves of Sir Edward Elgar and other members of the family which are located at the far end of the cemetery.